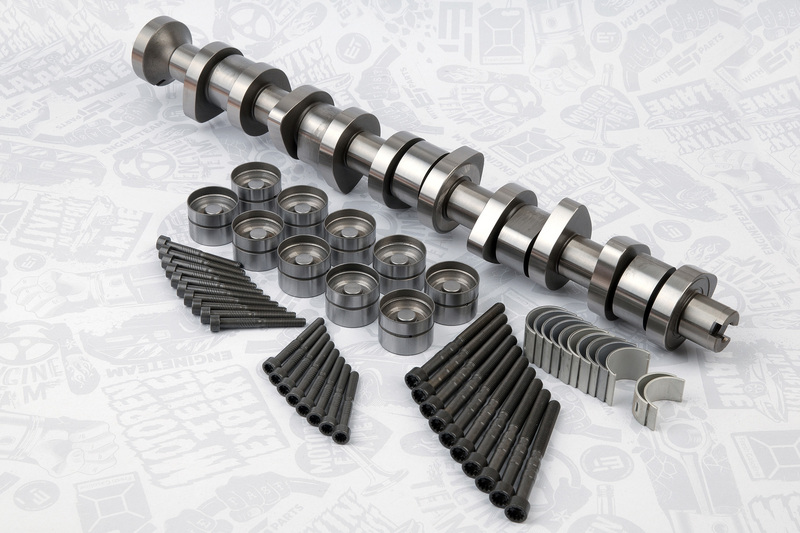 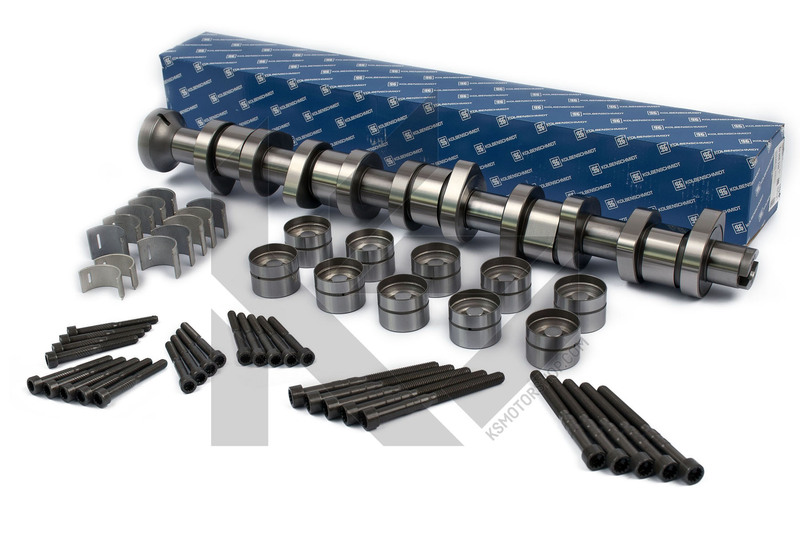 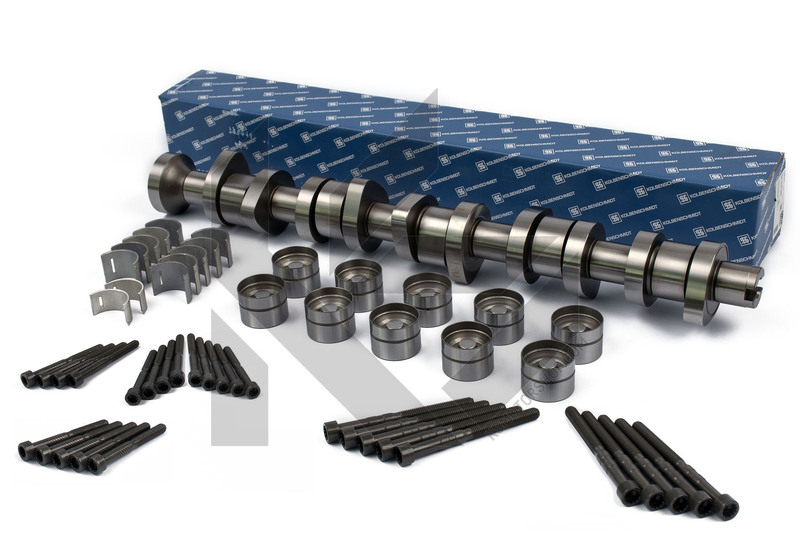 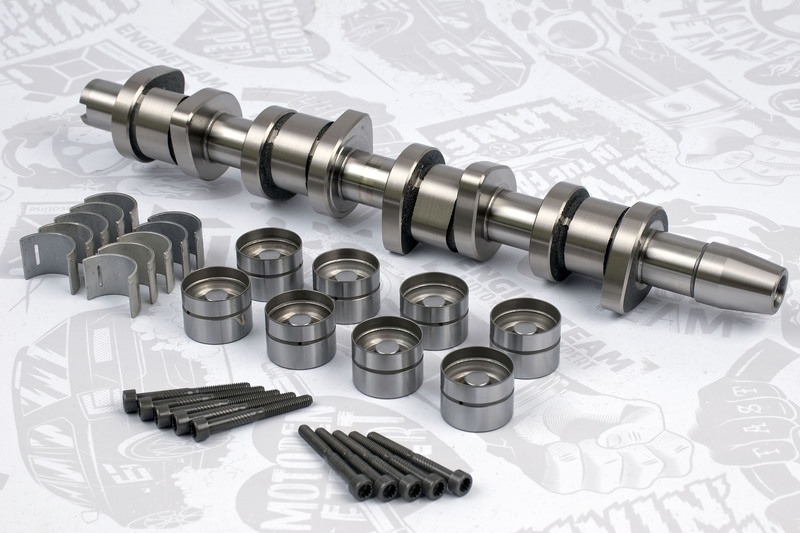 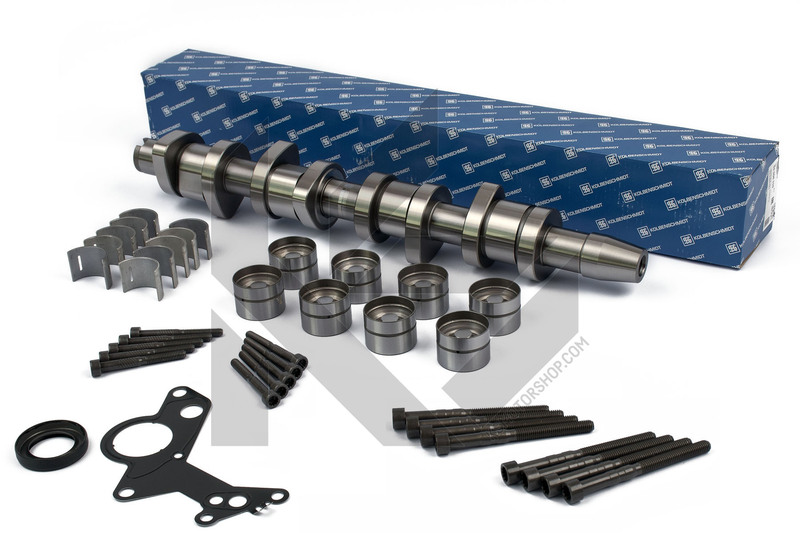 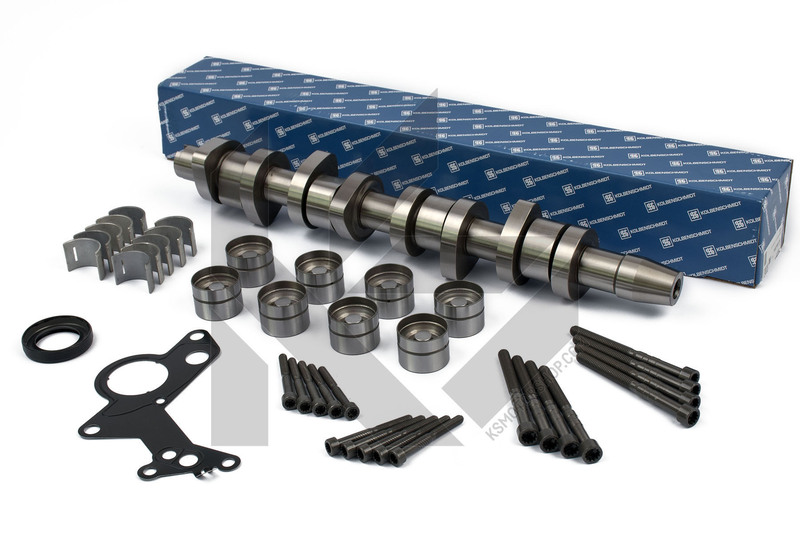 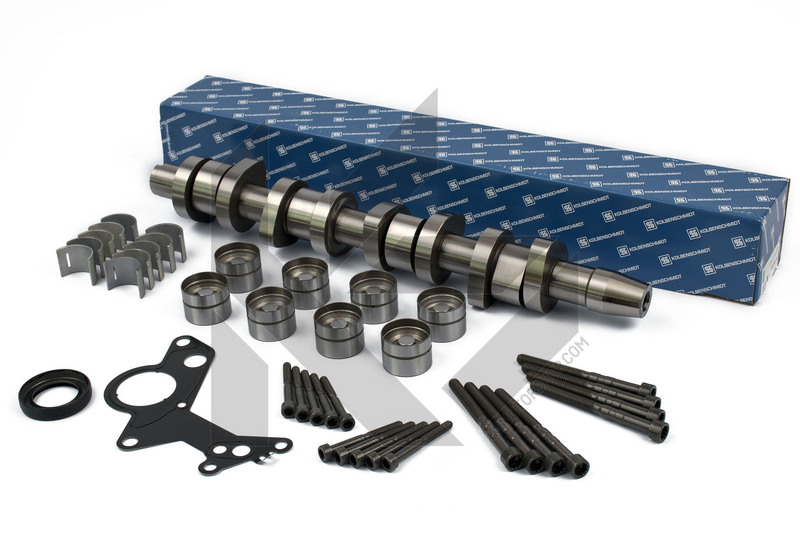 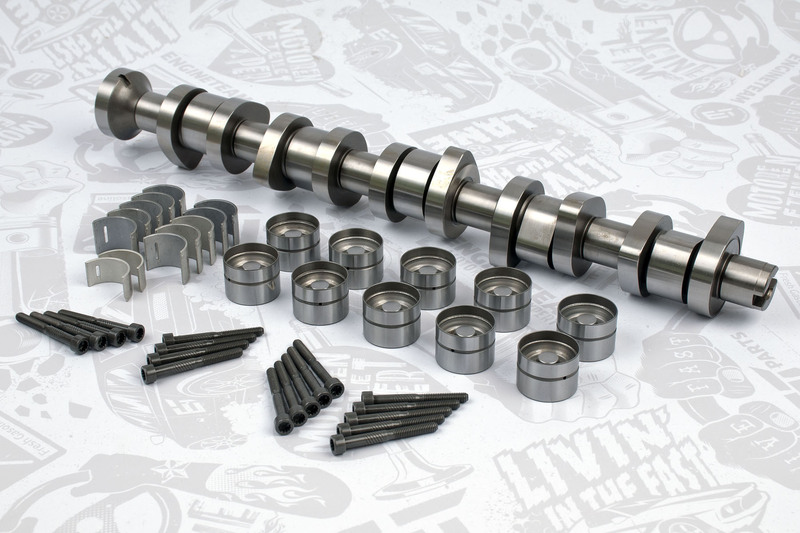 Camshaft kit ET Engineteam – complete (camshaft, bearings, tappets, bolts). 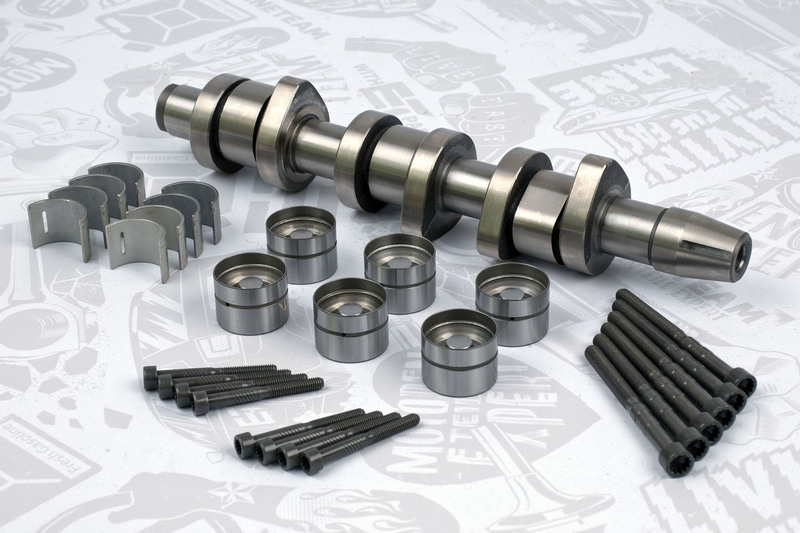 For VW Sharan / Polo / Golf / Jetta / Transporter / EOS, Seat Alhambra / Leon / Toledo / Ibiza, Audi A3 / A4, Škoda Superb / Roomster / Fabia / Octavia and more with engines 1,9 / 2,0 PD since 2003.To be installed in these type of engines BLS, BPW, BMM, BRC, BPZ, BSS, BSV, BMT, BRT, BXJ, BVK and more. 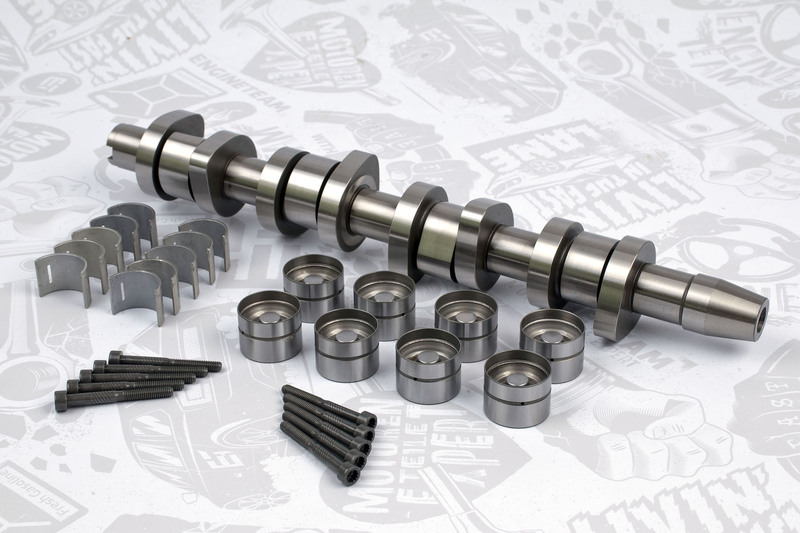 OE: 038103673A, 038103673B, 038103673BGLB, 038103673C, 038103673CGLB, 038103714, 038103714G, 038109101AH, 038109309C. 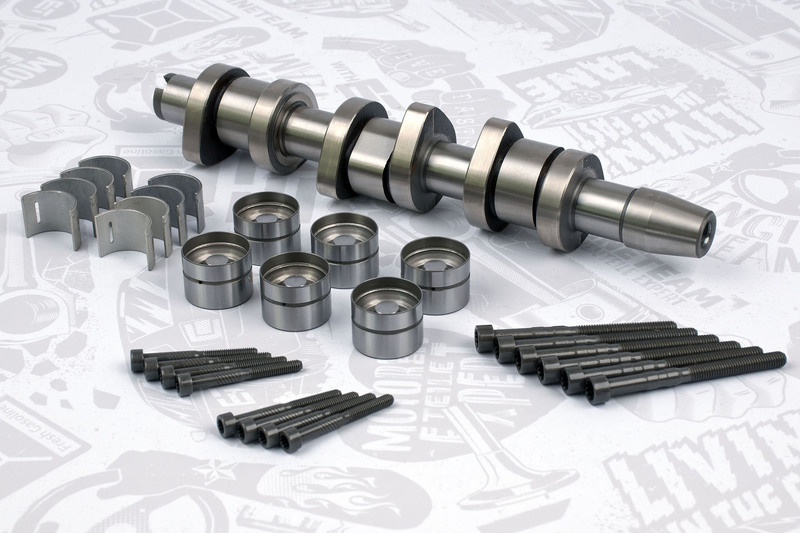 System PD (Pumpe – Düse) – United Injector system (UIS) requires specific features of individual engine components. 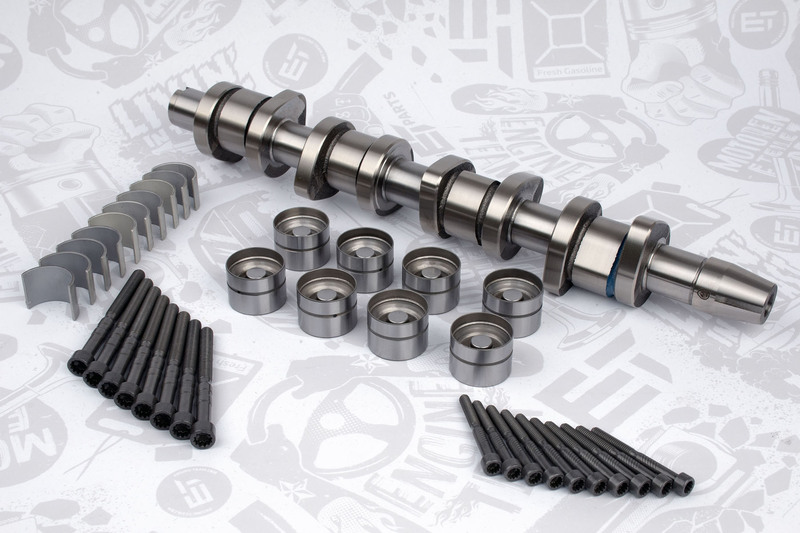 Kit HV0340 meets these requirements; you will find all the parts in this kit that are recommended for replacement at each repair. 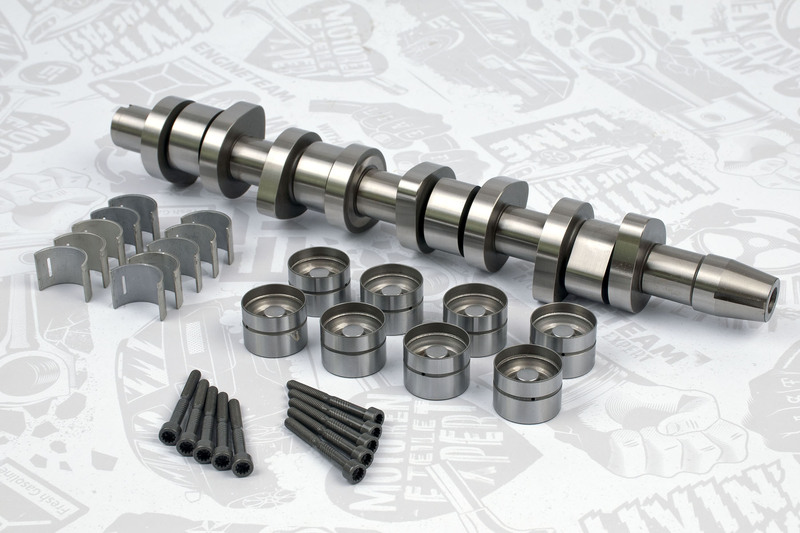 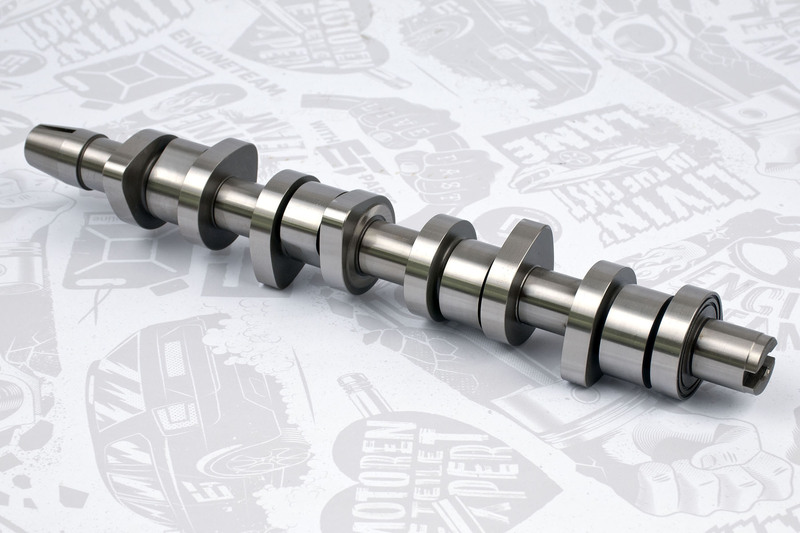 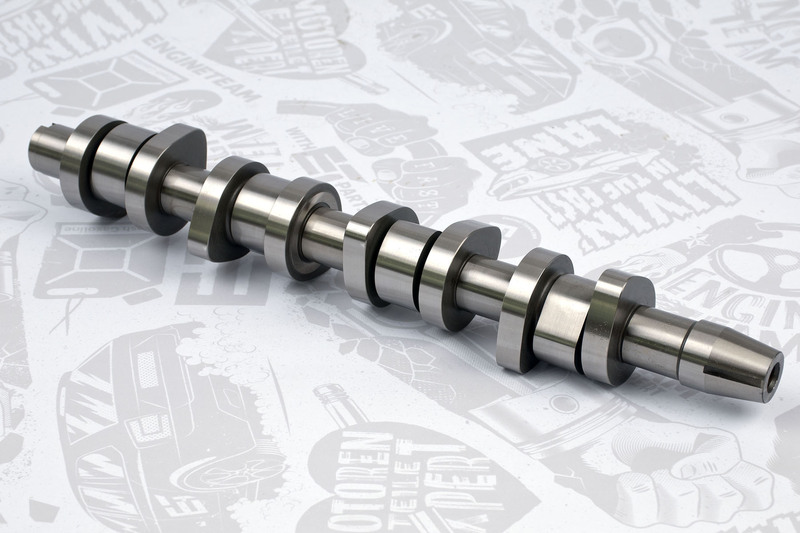 This camshaft can be supplied by some vendors in a cast iron version, which is more prone to break when installed incorrectly. 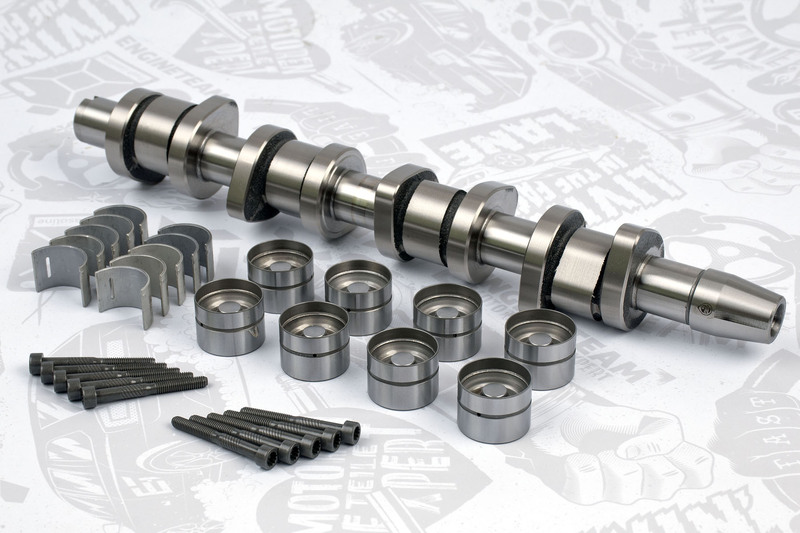 The camshaft of this kit is made of steel, identical to OE. 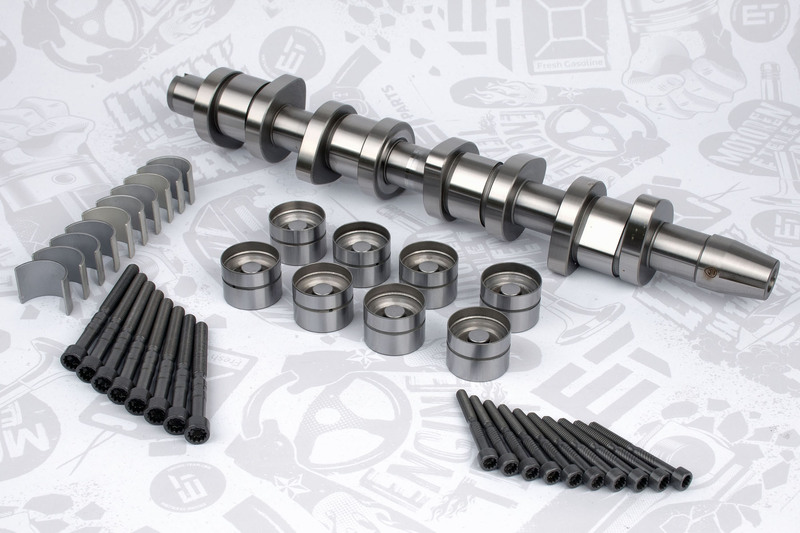 ATTENTION: For BLS engines, two different camshafts are installed : HV0287 this kit , which corresponds to OE number 038109101AH and camshaft HV0285 with OE 038109101R, which is part of HV0338.